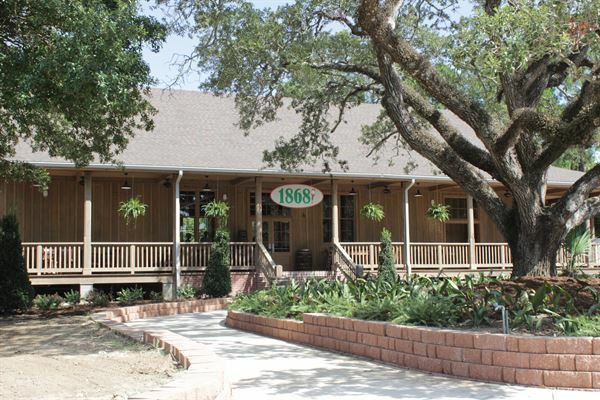 Have your next business or social event at Restaurant 1868! located on Avery Island, home of TABASCO Brand Pepper Sauce. Our venue features indoor and outdoor seating with a wrap-around front porch. The space is a restaurant by day, open for breakfast and lunch, and is available for rental any night of the week. Tours of the TABASCO Factory and Jungle Gardens can also be included with the facility rental. Contact us for pricing, reservations, and catering options.